What does a closed-door meeting of some of the world’s top climate scientists in Durban have to do with the future of the Philippines? In his commentary published by the Philippine Daily Inquirer on February 17, 2019, OML Center Executive Director Rodel D. Lasco explains the importance of the Intergovernmental Panel on Climate Change (IPCC) and the focus of its upcoming Sixth Assessment Report (AR6). Dr. Lasco is one of five Filipinos among the hundreds of authors and IPCC Bureau members involved in the IPCC AR6. Visit the IPCC website for updates on AR6 developments. 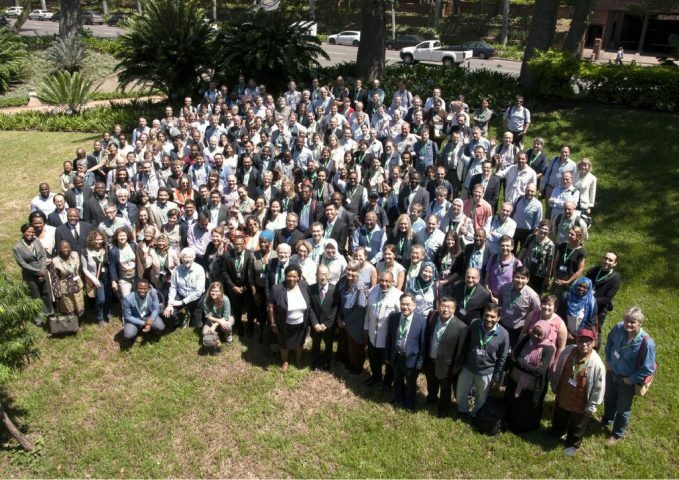 Group Photo of the Participants of the IPCC Working Group II AR6 First Lead Author Meeting in Durban, South Africa, January 2019 courtesy of Maike Nicolai, IPCC.